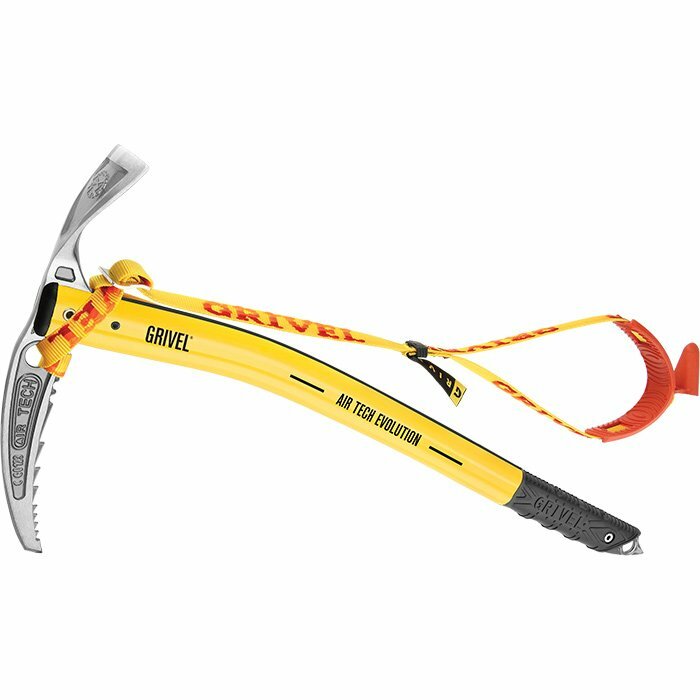 "The new version of the famous Air Tech axe now with the improved grip and performance of the G-bone shaft. The head, which is hot forged from a single piece of steel, has become an established alpine classic. The shafts gentle curve just below the head gives greater clearance and makes anchoring easier on any sort of terrain, while the lower straight part of the shaft will penetrate into snow with little effort. Also available with the new Easy Slider with Spring Leash system, the new hand rest that slides to the top of the shaft when sunk in snow or to the bottom to support hand in traction. The huge success of the Air Tech Evo has encouraged us to create the perfect complement: an Air Tech with a hot forged hammer. The most advanced axe technology, all in under 500 grams! CE Certified T UIAA "